Just crowned winners of the Best African Group & Producer of The Year (Sura Yako) at the AFRIMA Awards in Nigeria, Sauti Sol, the Kenyan group, have finally unveiled the album cover and track list of their anticipated third album: Live and Die in Afrika, dropping soon! Sauti Sol initially teased their fans by posting a series of blurred photos, each less blurred than the last. The last series of photos finally unveiled the official Live and Die in Afrika album artwork, after which the track list was released. The cover, which was shot at African Heritage House, has attracted the attention of many due to the cover’s iconic fashion and style. The production behind the cover was produced by celebrity stylist Annabel Onyango. 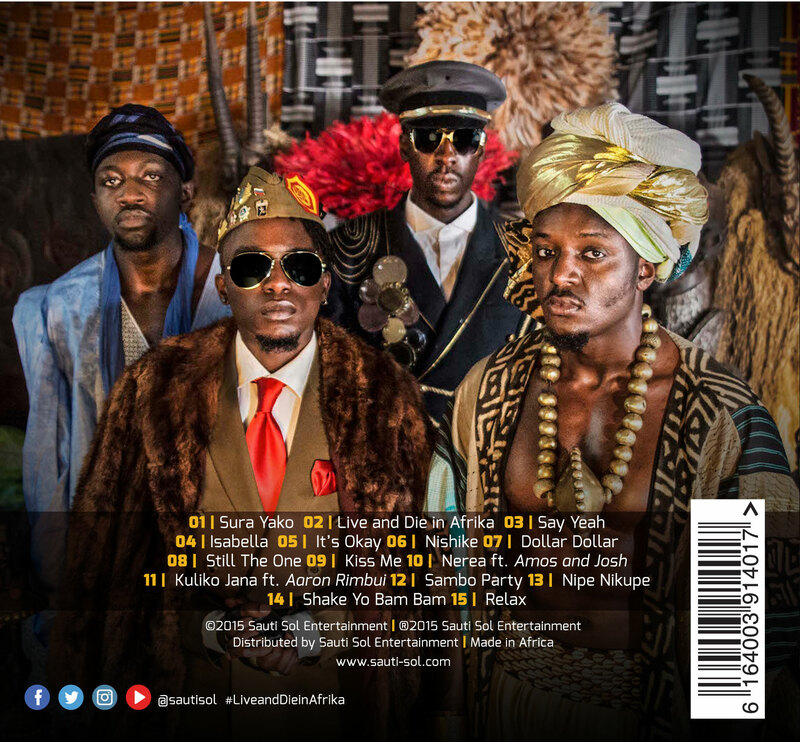 On the cover of Live and Die in Afrika, Sauti Sol and their traditional styling evoke what it means to be authentically and proudly African.